Make Calendars in Excel. 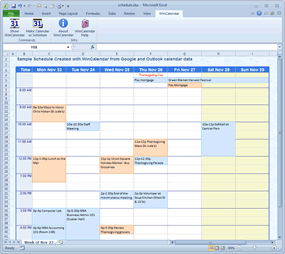 Many calendar layouts and custom options are supported in Excel. This includes ability to make a calendar from Excel spreadsheet data. 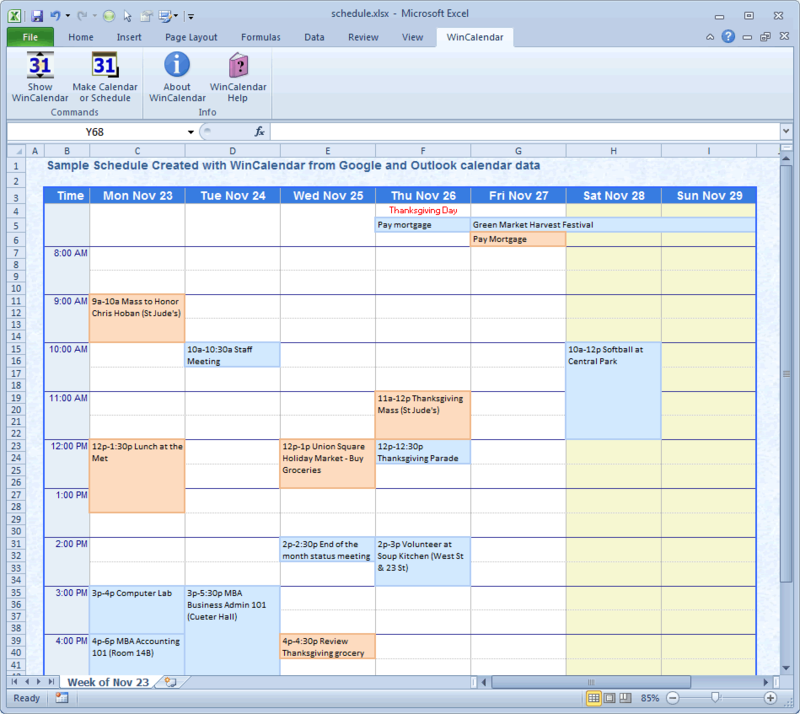 The Following layouts are supported: Month Calendar, Weekly Calendar, Schedule, Agenda, Gantt Chart and Spreadsheet Table. Calendars are inserted into your existing spreadsheet from a easy menu driven dialog... no calendar template to load. As a bonus WinCalendar includes a date picker that integrates directly with Excel (works like a native toolbar). Create a customizable Weekly or Monthly calendar in native Excel format. Over 60 layouts combinations available + many colors to chose from! Our large format calendars are ideal for use as a spreadsheet planner! Built in holidays through the year 2030 for 10 countries. 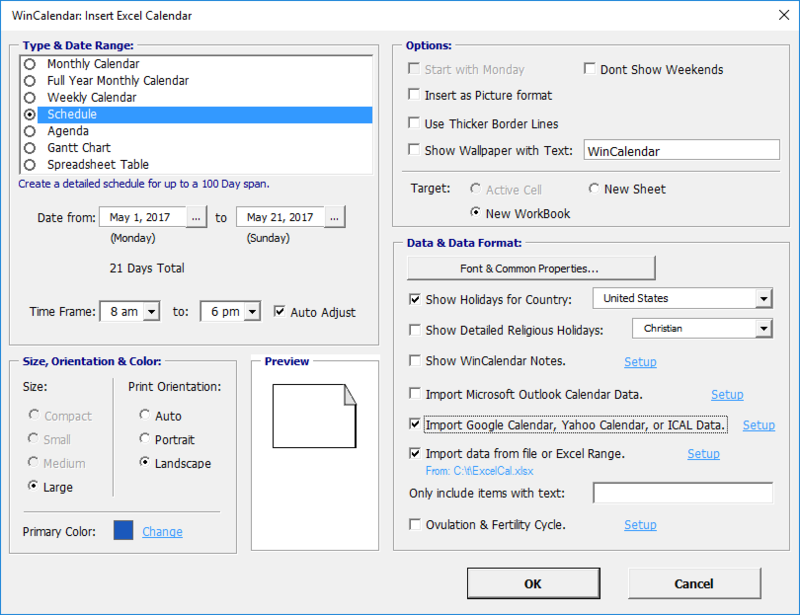 The calendar maker supports data from Microsoft Outlook, Google Calendar, Yahoo Calendar, iCal Calendar, CSV and Spreadsheet Data. Supports weekday only calendar & start with Monday calendars. Create a weekly calendar up to a continuous 520 weeks long (10 years). See links on the left for more feature or here to download. 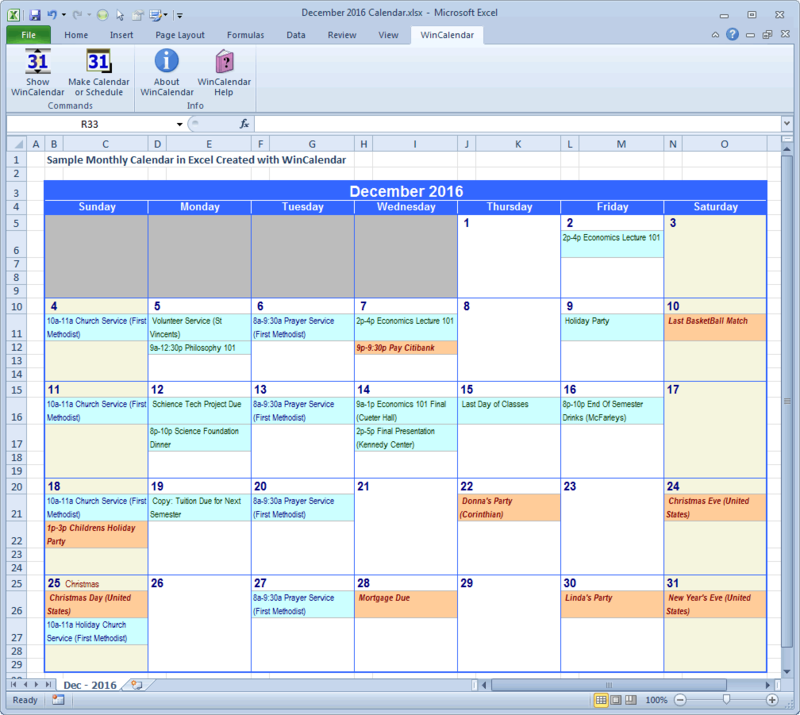 Below are sample Monthly Calendar, Schedule and Gantt Layouts created with WinCalendar using imported Calendar data. Also available (not shown) is layouts: Agenda, filterable spreadsheet table and Weekly Calendar. 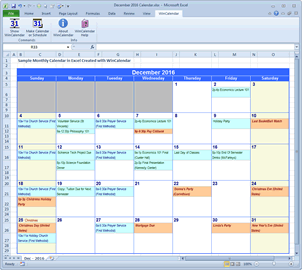 Sample monthly calendar created with WinCalendar in Excel. Sample Schedule created with WinCalendar in Excel. 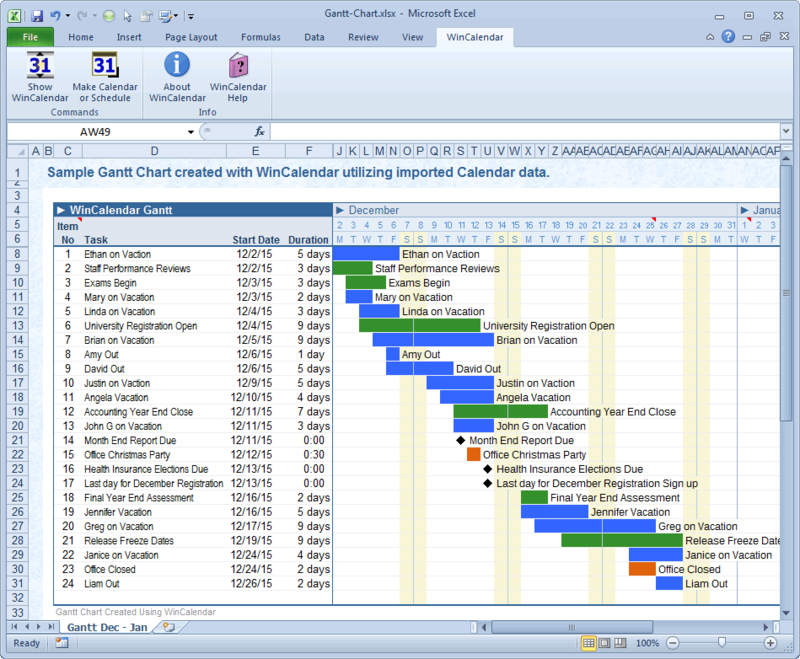 Sample Gantt Chart created with WinCalendar in Excel. Calendar maker features support many options for creating Calendars. 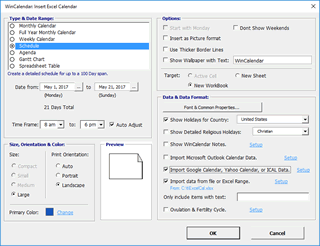 Shown below is the main Calendar Maker dialog which reflect many of the available options. 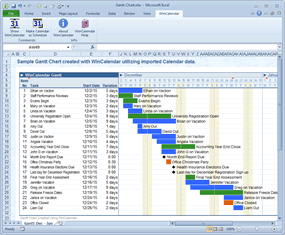 Excel Calendar Maker Main Options.